On this page, we are going to guide you How to install Xiaomi Flash Tool on your Windows Computer Easily. Step 1: Download and extract the latest version of Xiaomi Flash Tool on your Winows Computer. Step 3: Now, Open MiPhone20160401.exe (latest) and Click on Next Button to Continue. 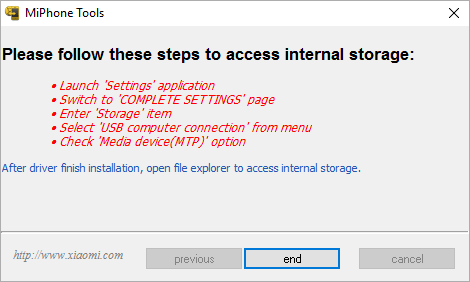 Step 4: Now, you will be Able to see the Windows Security Dialog to install the Xiaomi Drivers. 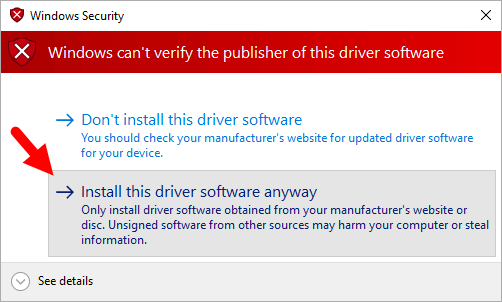 Click on Install this Driver Software Anyway to Continue. Step 5: Now, Xiaomi Flash Tool will be installed on your Computer Automatically. You can find the Xiaomi Flash Tool Shortcut on your Windows Menu. And you can also start the Xiaomi Flash Tool directly from the installed folder (i.e C:> Program Files > Xiaomi > MiPhone > MiFlash.exe). [*] There is no need to install the drivers separately, as all the drivers came with the Xiaomi Flash Tool and get installed duing the Xiaomi Flash Tool installation process. 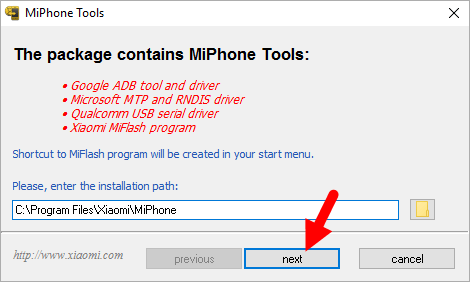 [*] How to Use: if you want to learn How to use Xiaomi Flash Tool, then head over to How to use Xiaomi Flash Tool Page. [*] Xiaomi Flash Tool: If you are looking for the original Stock Firmware then head over to Download Xiaomi Stock Firmware page. [*] Credits: Xiaomi Flash Tool is officially Created by Xiaomi Mobile Inc. So, full credits goes to them for providing the tool for free.